Color Me Mozart Kickstarter Campaign is Live! We are so excited to share that the Color Me Mozart Kickstarter campaign for Book 2 and a customized xylophone is up and running! It has been a lot of late nights filled with editing, designing and coffee but it was all worth it. The new book, in my humble opinion looks great and the design for the xylophone matches the book perfectly. Not to toot our own horn but the video came out pretty sweet. Check it out below! So what happens now? Well, to be honest, without you, not much. We need your help to get the word and let everyone know about it. 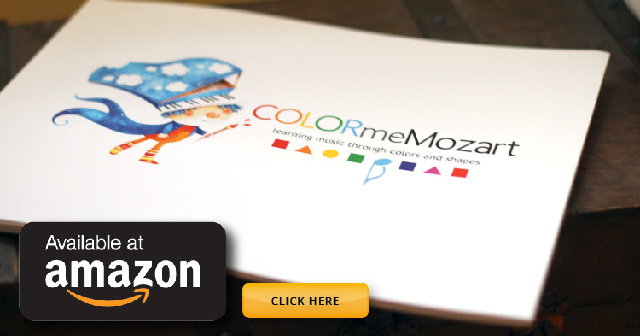 We want to make sure Color Me Mozart gets into the hands of kids everywhere. Helping kids learn music is our goal but we need you to be a backer and get the word out. Know any schools that need a great music education system? How about parents that don’t know how to teach their kids music? If you would consider sending them a link to the Color Me Mozart Kickstarter Campaign, it would help out more than you know. There is no way we could have completed the video and campaign without the help of some amazing people. We would like to thank everyone that offered great advice, support and encouragement along the way. I have personally been blown away at the love and support that Color Me Mozart has had since day one. In particular, I would like to thank everyone involved in helping or being part of the video. That includes: All the wonderful students and parents at Bridge to Youth, Susan Esposito, Deborah and Julissa Rios, Hortense Blakey, Nicholas Taxi, Deborah and Thomas, Danny Rosado, Angela and Kassidy, and Tommy Mormile. Also on this very page, there are social media sharing buttons. You can share this blog post on your facebook, Twitter or Instagram. The bottom line is that anyway you decide to share it, we are so grateful. It is because of you that we made it this far and we are thrilled to continue this journey. I want to continue to create great books and fun ways for your kids to learn music and carry one of the greatest gifts life has to offer. Thank you as always and let’s change the world one note at a time.